Why should I choose the Ickle Bubba Stomp v3 Travel System - Graphite / Black Chassis? What's included with the Ickle Bubba Stomp v3 Travel System - Graphite / Black Chassis? What are the specifications of the Ickle Bubba Stomp v3 Travel System - Graphite / Black Chassis? 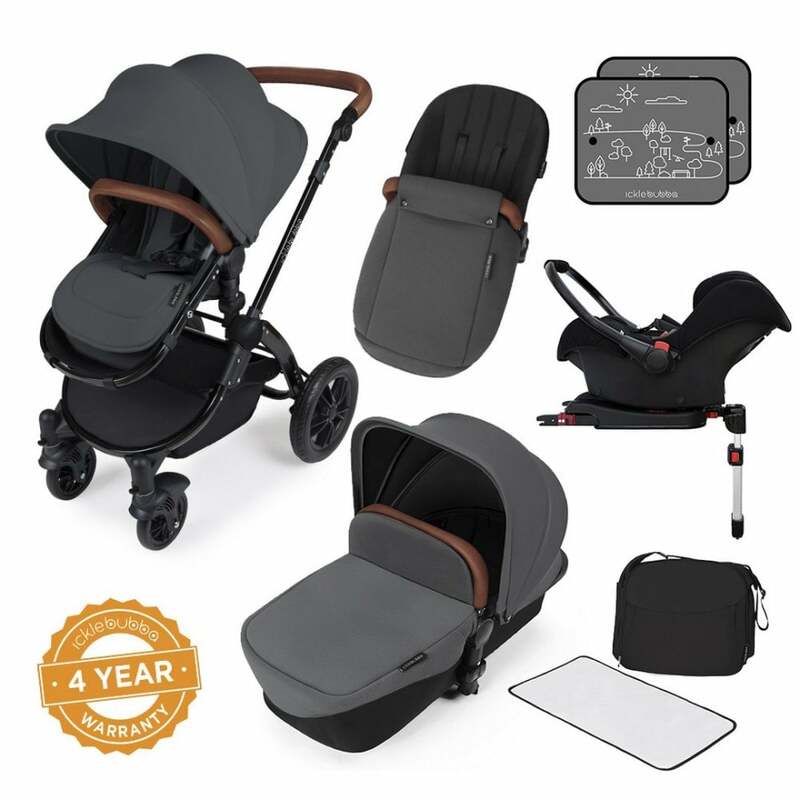 Do I get a warranty with the Ickle Bubba Stomp v3 Travel System - Graphite / Black Chassis? You get up to a 4 year warranty (UK Mainland only) Click here for full Ickle Bubba warranty details.